At an English dinner party a group of gentlemen are discussing the device that one of them is making so he can explore the fourth dimension. No one is identified by name but when the men gather the following week, the device's inventor, referred to as Time Traveler, is strangely absent. When he arrives later, he recounts his amazing sojourn into the future. 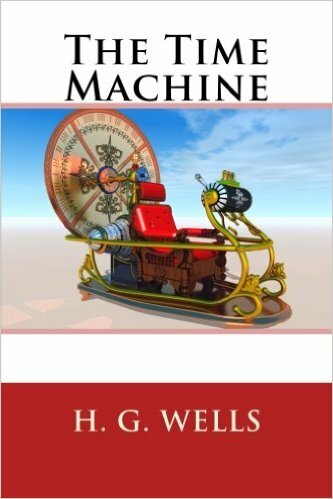 After narrowly escaping from a forest fire and hostile creatures, Time Traveler uses his invention to investigate other time periods before returning to share his story with his friends. Despite the fact that he has returned with never-before-seen flowers, most of his companions do not believe him. When one of the dinner guests stops by Time Traveler's home a few days later, he is the last one to see the inventor before he and his Time Machine disappear.